General requirements and safety solutions are illustrated below for proper chemical storage. Chemicals must be stored away from heat and direct sunlight. 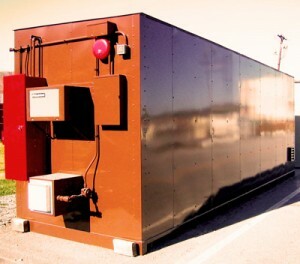 Sunlight and heat might deteriorate storage containers and labels and could possibly ignite the chemical being stored. Segregate incompatible chemicals. Incompatible materials can be stored separately with a solid partition wall or a separate storage building. Whatever the quantity of your chemical inventory, U.S. Chemical Storage can provide a customizable chemical storage building tailored to your needs. Manufactured from heavy-duty, 12-gauge steel for superior protection. Our fully customizable storage buildings provide the ultimate protection for your chemical inventory. Extremely durable and long lasting. Make sure your chemical inventory is safe with a chemical storage buildings from U.S. Chemical Storage. Our fully-compliant chemical buildings provide a leak-proof, secondary sump containment to keep your chemical inventory safe in the case of a chemical leak or spill. Offering the safest and most reliable chemical storage buildings for all of your chemical inventory needs. Chemical inventory is to be compliantly stored for complete safety. Risks associated with storing chemical can be extreme. When housing chemicals, it is critical to make sure that your storage solutions are 100% compliant.